These tips work in any browser. They are very simple and maybe most of you know them. But if you do this will be a reminder. If you click on a download link the download will start and it will save to your default download location. But what happens if you try to download a PDF file? Normally, if you click a link to a PDF file, the file opens in your browser. Of course, after it does, you can save it to your computer. But what if you just want to download the PDF file? 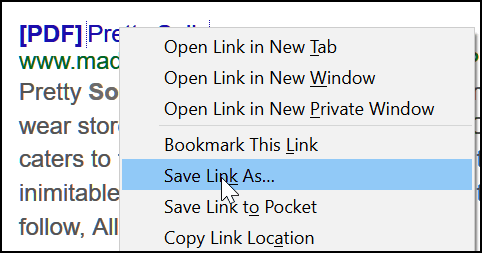 In Chrome or Firefox, right-click the download link and choose “Save link as”. A File Explorer (Windows Explorer) window will open and you can choose where to save the file – you’ll even be able to rename it. 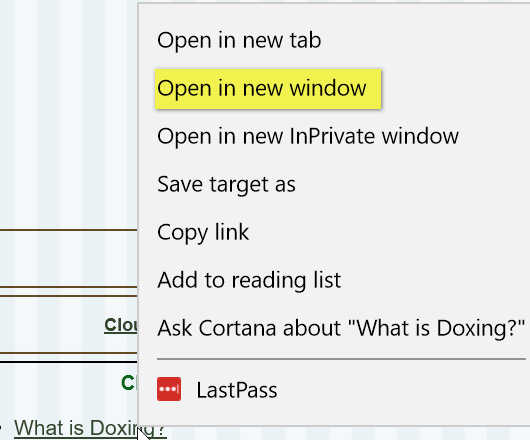 In Internet Explorer or Edge, right-click the download link and choose “Save target as”. Now, if you already knew these two easy tips… this is a reminder. If you didn’t know them, you learned something new. Right? Did not work for me in Windows 7! This tip is not operating system dependent. These two tips even worked on Windows 98, Windows Vista, Windows XP. 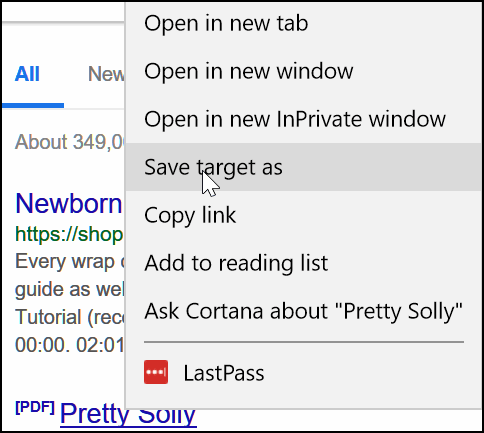 These are browser tips for all browsers on Windows. Make sure your right-clicking and that your mouse settings are not reversed.